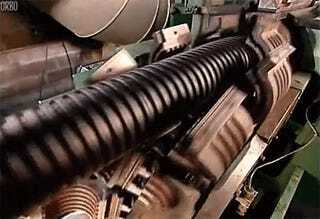 These perfect looping gifs by the great Orbo, show a machine making corrugated pipes hard at work. I'm all for gorgeous sunsets over the sea and stunning views from the top of a mountain but there is something with the never-ending movement of these mechanisms that gives peace t0 my heart. 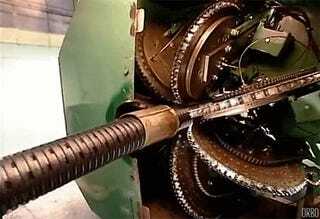 Here's the original video, of the classic Science Channel's How it's made.